This woman had a congenitally missing tooth. 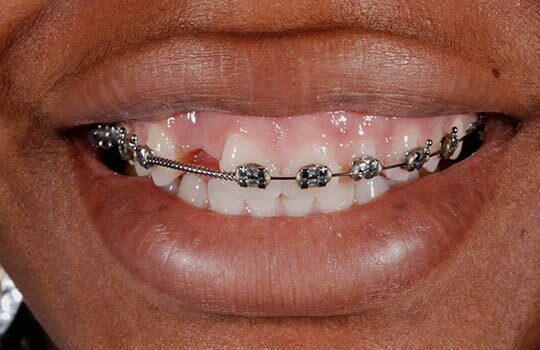 We used orthodontic treatment to create space for a tooth and to bring the other anterior teeth into the right positions. 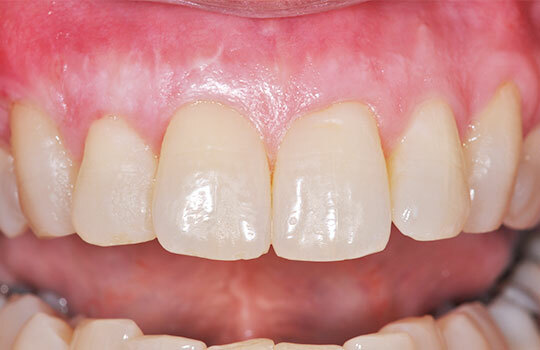 A dental implant was placed and the missing tooth was restored with an all-ceramic crown. Veneers were placed at two other anterior teeth in order to create optimal tooth proportions, resulting in a lovely bright smile. 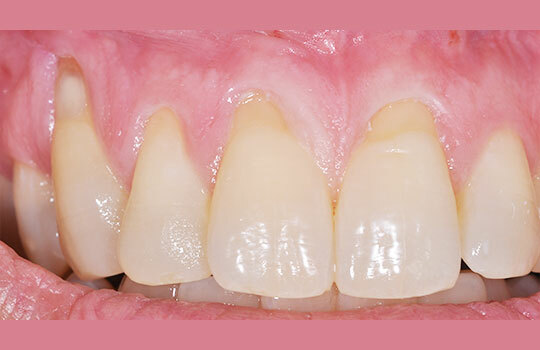 This woman came to us with gum recession; a common condition in which the root surfaces are becoming exposed. Root exposure due to gum recession can affect smile aesthetics and create tooth sensitivity. 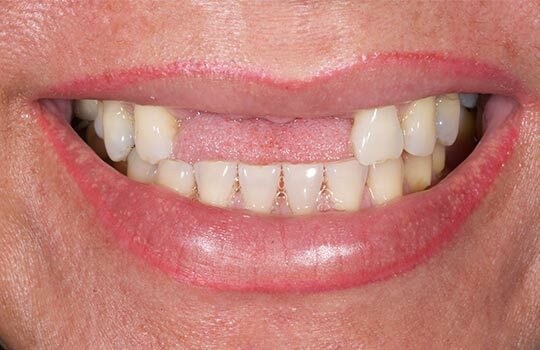 A coronally advanced flap was utilized, combined with connective tissue graft to cover the exposed root surfaces, in order to eliminate tooth sensitivity and restore a beautiful smile. 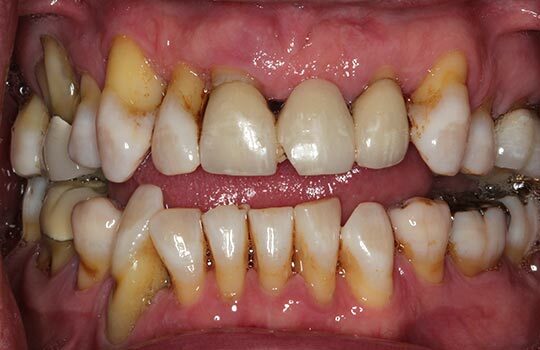 Excessive gingival display, AKA "gummy smile", jeopardizes facial aesthetics. 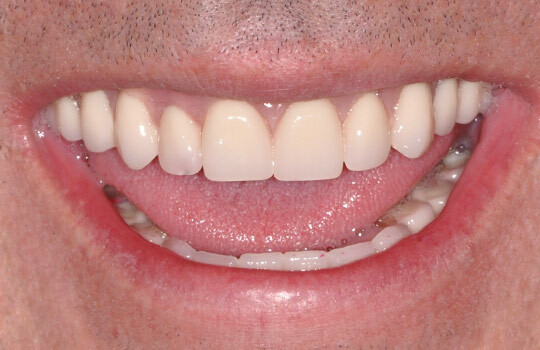 Usually this condition results in short square teeth and increased display of the gums during smiling. 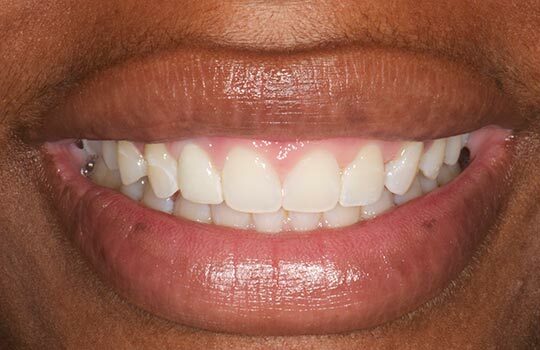 In this case, we performed crown elongation in order to increase the tooth size and reduce the amount of gum display during smile. 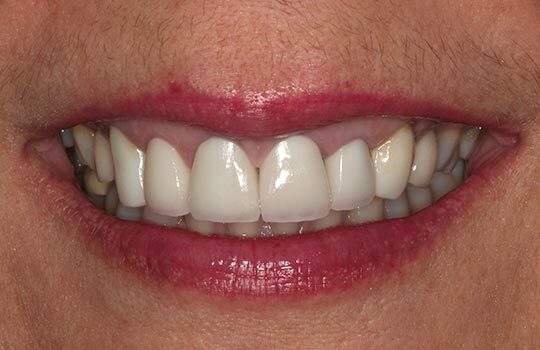 Porcelain crowns were placed in order to create optimal tooth proportions and achieve symmetry in the patient’s smile. Dental implants is an excellent and very predictable treatment for the replacement of missing teeth. 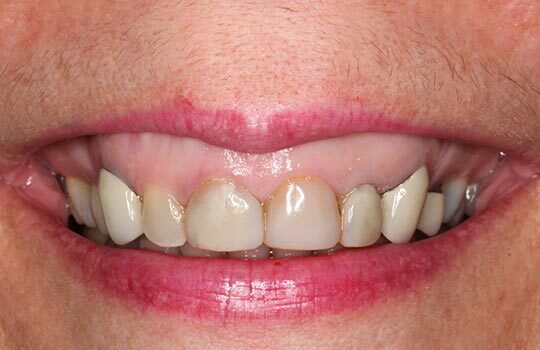 For this woman, an implant-supported bridge was used to restore the missing teeth. 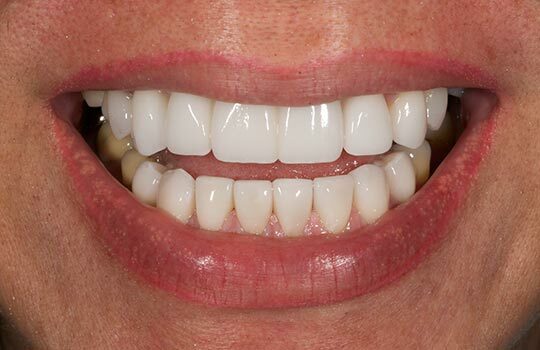 Porcelain crowns were placed on all anterior teeth in order to create optimal tooth proportions and natural smile asthetics. Advanced periodontal disease can deprive teeth of their bone support, causing them to fail. Rehabilitation of a failing dentition can be done by replacing the failing teeth with dental implants and implant supported prostheses. Full mouth reconstruction can be carried out in a single appointment, in favorable cases ("Teeth in a day"). This treatment option can restore function as well as aesthetics. Various treatment options are available.